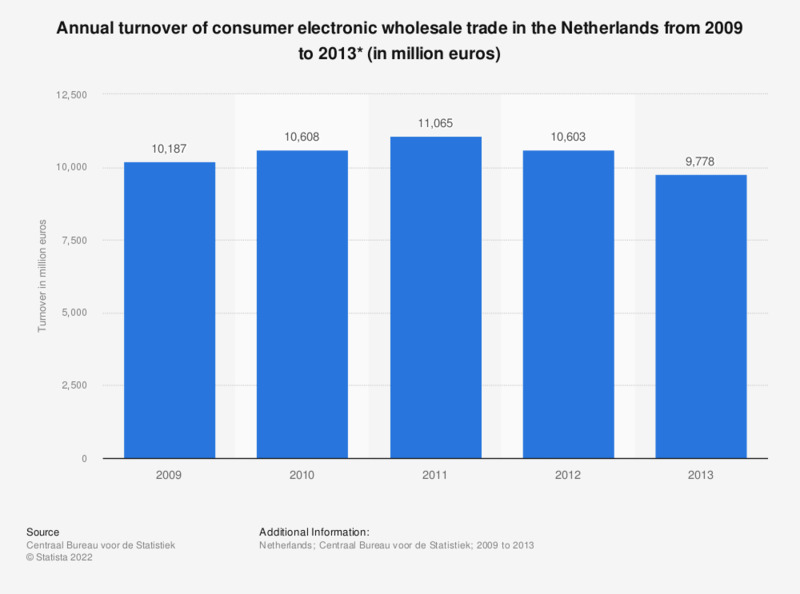 This statistic displays the annual turnover of the wholesale trade for consumer electronics in the Netherlands from 2009 to 2013. In 2013, the wholesale of consumer electronics generated revenues of approximately 9.8 billion euros. * Includes wholesale of electrical household appliances, audio and video equipment, photographic and optical articles.